Starr’s Mill can be found in Fayette County, located near Fayetteville, Georgia. 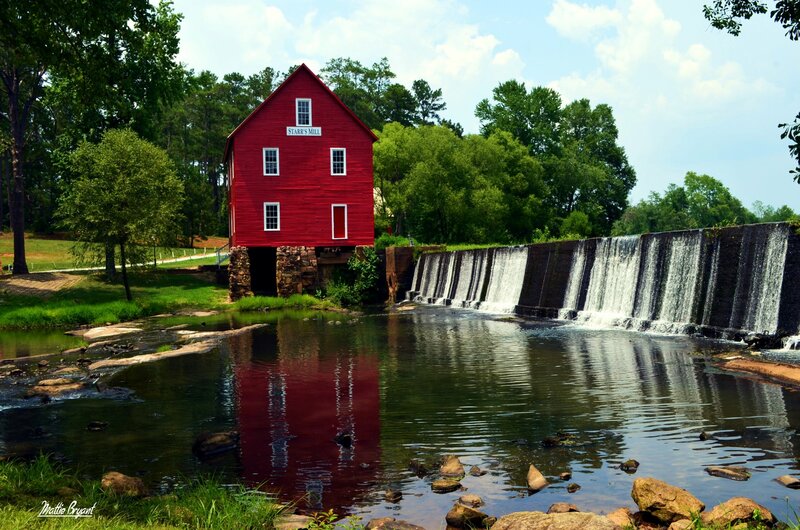 This mill was painted in 2002, at least two sides of it and used in the Glass Blowing Scene in the Movie “Sweet Home Alabama”. It was painted again this time all sides in 2011 because it was badly in need of a paint job. It was painted along with the adjacent dynamo building which in this photo is barely visible through the trees on the right side of this building.